Beth Ann & Jessica's Helpful Savings: Ebay: Coach Factory up to 70% off! Ebay: Coach Factory up to 70% off! 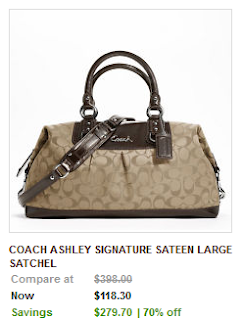 Coach Factory sale on Ebay: Up to 70% off! 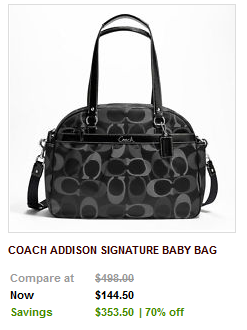 Check out this Coach Addison Signature Baby Bag, 70% off, or this Coach Ashley Signature Sateen Large Satchel 70% off. Sale ends 9/7/12 at 9 am PT. Nexus 7 Tablet Giveaway ends TONIGHT! Free Lowes Coupon Emailed $10/$10! WOW Printable Burger King Coupons! 6pm: Puma Fashion Heels 83% off!